Billy Sharp opened the scoring in the first half, scoring his 20th goal of the season but this was after an early scare when the hosts were rewarded with a penalty, but George Long stood firm to keep out Vassell from the spot. The hosts did level the score in the second half and Adams sweet strike was enough to ensure victory and put the Blades within touching distance of the play-offs ahead of this weekend's visit of Barnsley. Nigel Adkins opted to select the same XI and bench for a fourth successive time, indicated that this will be his chosen squad for the few remaining games of the season. United got off to a good start and during the early exchanges, Coutts and Adams carved out opportunities for Sharp but it was the hosts who were handed the better opportunity in tallying a goal inside the first ten minutes. Vassell's ball through was perfect for Akpa Akpro but stood motionless, presumably he believed he was offside and allowed the defence to clear their lines. Jay McEveley was booked and conceded a penalty when he was judged to have handballed Kaikai's cross into the box, and having not conceded a goal in three games of football it looked as though Long would be forced to surrender a clean sheet. Vassell stood to take the spot kick but Long guessed correctly, saving to his left with Flynn and McEveley crowding out any follow ups from Akpa Akpro. It was a miss which would change the game and soon afterwards it would be United who were wheeling away in celebration. Sharp failed to get on the end of an Adams wayward shot and moments later Flynn's neatly weighted pass from the right found SHARP, who shot past Leutwiler for his 20th goal of the campaign. Fighting for League One survival the hosts were back on the offensive and in a challenge which saw Baptiste tangled and fell to the ground, Akpa Akpro raced clear but McEveley acted quickest to block and prevent any immediate danger. Of the first half action it is fair to say that Shrewsbury were the more active in front of goal, creating the most chances without finding than successful strike as the opening 45 minutes ended with the Blades in front. The second half saw the hosts come out of the stumbling blocks and inside the first 2 minutes of the re-start they had another penalty shout, a corner as well as seeing a goal-mouth scramble cleared as United's defence stood firm to keep out an early attack against a side who meant business. This was all before the first substitution of the night took place. A few minutes of play was halted when the Referee's Assistant pulled up injured with the Fourth Official taking over. This only spurred the hosts on and almost took the lead when Akpa Akpro headed over from Sadler's cross and Kaikai fired wide. But their efforts would be destroyed by a 66th minute strike from ADAMS, who exchanged passes with Sharp and a fortunate deflection was enough to evade the keeper and fly into the bottom corner of the net for his 12th of the season. Shrewsbury responded with two quick chances of their own but Akpa Akpro failed to hit the target and Mangan headed over the top. The hosts threw on Whalley for Hendry with ten minutes remaining and Akpa Akpro found himself unmarked at the far post after Kaikai crossed but long was able to scamper across to save. Florent Cuvelier replaced Flynn with five minutes left on the clock and in the final minute, Woolford replaced scorer Adams. Late pressure came from the hosts, Kaikai saw his effort blocked by Baptiste and as crosses rained into the box, important headers were met to head clear. Seven minutes of injury-time was added and during this time Cuvelier had a penalty appeal waved away after a Whitbread tackle. At the other end the Shrews had the final opportunity of the match, Kaikai's free-kick smashing against the wall. Shrewsbury: Leutwiler, Sadler, Whitbread, Vassell (Mangan 65), Kaikai, Wesolowski, Grimmer, Ogogo, Knight-Percival, Hendry (Whalley 79), Akpa Akpro. Unused: Halstead, Black, Mangan, Clark, Cole, Smith. 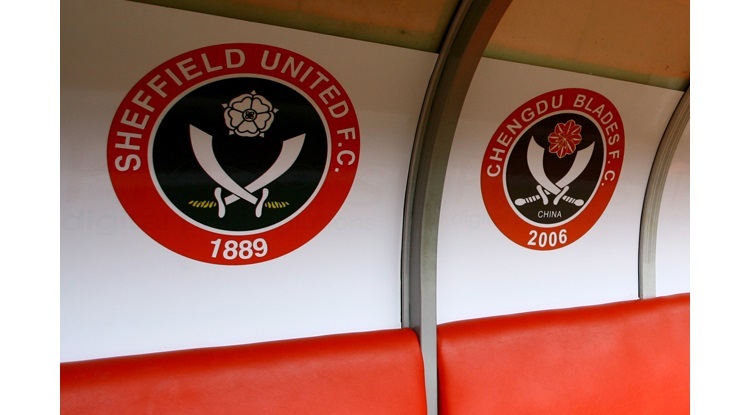 Sheffield United: Long, Basham, Flynn (Cuvelier 85), Coutts, Sharp, Done, McEveley, Baptiste, Adams (Woolford 90), Edgar, Hammond. Unused: Howard, Sammon, Calvert-Lewin, McGahey, Whiteman.